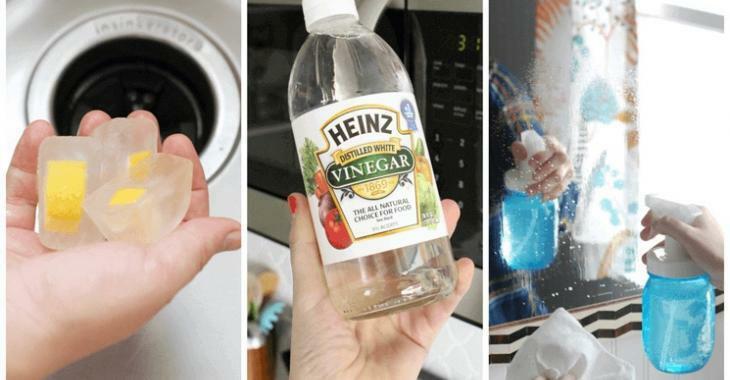 Tips and Tricks : You should never clean the following things with vinegar. Vinegar is one of my favorite cleaning products, and for many great reasons! First of all, it's natural and nontoxic, therefore, I don't have to worry about the chemicals in cleaning products when I use vinegar to clean my house! Second, it's incredibly cheap to buy. You can get a gallon of vinegar in most stores for only a few dollars. And third, it's really versatile! You can use it to clean all kinds of things. However, you cannot use vinegar to clean everything, and that's what motivated today's article. Vinegar is an excellent cleanser because it is acidic, helping to remove stubborn deposits of grease, dirt and minerals. But the acidity of vinegar can also damage some surfaces, so it's important to know which ones to avoid. Here is the list of things to avoid when cleaning with pure vinegar. Do not clean granite, marble or soapstone countertops with pure vinegar, as this may cause them to lose their luster. Do not use acidic or corrosive cleaners on granite. Cleaners containing lemon, lime, vinegar, ammonia or bleach can damage the sealant on your countertops. If the putty wears down irreversibly, your countertops will be sensitive to stains, discoloration, scratches and other such damages. Make sure your granite countertops are well sealed. They were probably sealed during installation, but some types of granite must be "sealed" again at regular intervals. A simple way to verify if your countertop is still well sealed is to leave a few drops of water on the countertop; the water should bead, but, if it gets into the counter, over time, it's probably time to "seal" it again. USE microfiber cloths to clean your granite. Microfiber is very soft, which is great for stone, and is very effective at smooth ridges. Use hot, soapy water to clean your counters. If you want to keep your kitchen knives looking like new, avoid acids. Use this instead: dish soap, water and a good sponge. You dropped an egg on the ground? On the counter? Vinegar causes protein to coagulate in the egg, creating a sticky substance that is even more impossible to clean. Use this instead: a wet, soapy washcloth or paper towel. Vinegar can actually damage the inner workings of your iron. The best way to clean the surface of your iron is with a magic eraser. It is not a good idea to clean wood with pure, undiluted vinegar. In addition to leaving traces of water, the acid contained in the vinegar could erode some types of finishes. However, for polishing wood, a home-made treatment of half olive oil and half white vinegar can nicely polish stained and oiled wood. There are some surfaces that you can clean with vinegar, but only sparingly or in small amounts. Porous surfaces such as wood, stone and grout can be damaged by acid cleaners such as vinegar. However, this effect is lessened if the vinegar is heavily diluted with water or other cleaning ingredients. Use your best judgment when using vinegar to clean the following items.